I spent five summers working on a cruise ship in Alaska. 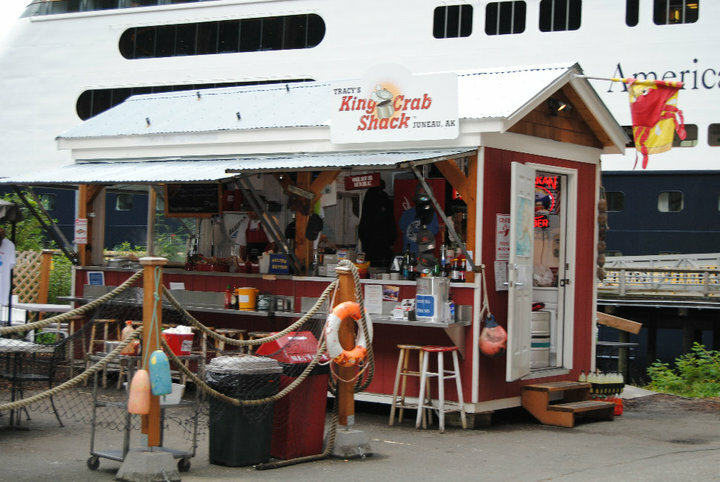 There are lots of things I think back on nostalgically now, but nothing makes me miss Alaska more than seeing pictures on Facebook of my friends eating at Tracy’s King Crab Shack. My love for Tracy’s runs deep! A co-worker of mine literally made up a song about how Thursdays are crab day at Tracy’s (Thursdays were when we would port in Juneau). There were times when my mood the entire week was set by whether or not I was able to get off the ship and get crab at Tracy’s. Honest to goodness, I am currently writing this article while wearing a Tracy’s Crab Shack shirt.